For Behind the Shot Part 7, we are featuring photos and stories from the Grand Canyon, Rocky Mountain National Park, Lassen National Forest, and many more! You can drive a dually truck and camper down to the bottom of the Grand Canyon. We heard about this drive and we determined to make the trek. The gravel road is on an Indian Reservation off of Route 66 at Peach Springs, Arizona. You check in at the local motel and pay your $24.50 per person for the reservations. Make sure you get your permit as they will check. There were about ten campsites at the bottom of the canyon with nice covered tables and fire pits. 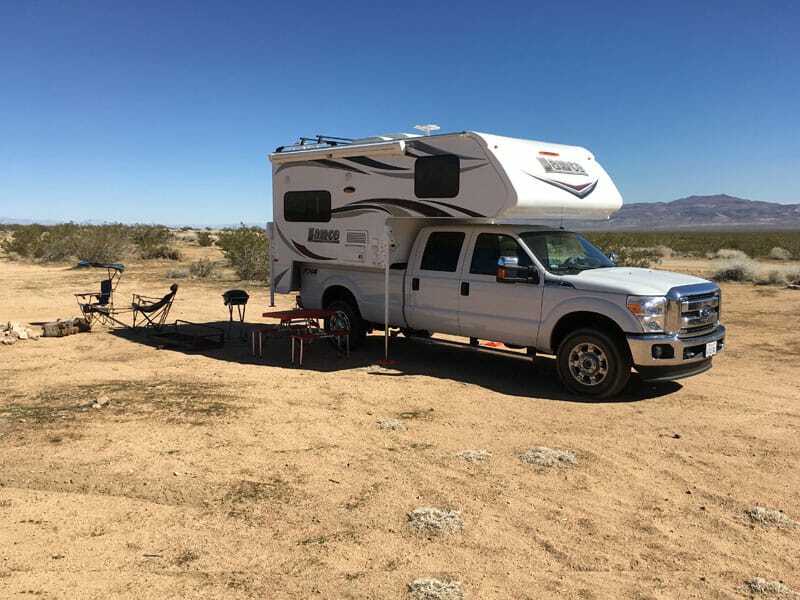 We took the dually down Route 6 for 22 miles in a large dry wash that runs from the Canyon Rim down to the Colorado River. The Indians have cleared a road down the 4,000 foot decent to the river. 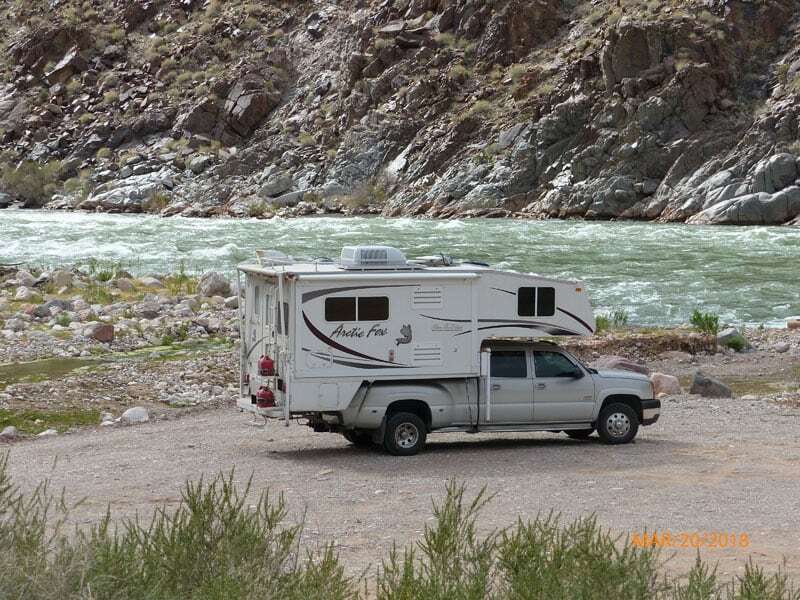 Besides the campground, they also offer rafting trips down the Colorado River. The road was pretty good with some wash boarding and a couple water crossings. I had to have a picture of the truck by the river. I got some great photographs of the sunrise the next morning but the truck by the water was my favorite. I’d walked down to Phantom Ranch 42 years ago and I must say this was a lot easier. What a fantastic memory! I found this nice spot to camp after visiting Mount Arvon – the highest point in Michigan. I have been trying to get to the high points of each state. After having a toy hauler for years, we bought our Lance truck camper in December. Unfortunately, we spent the holidays sick with the flu! We finally took our rig out to Dove Springs during Presidents’ Day. We drove for a long time before finding a spot. It was so crowded near the highway. We were the only ones there without our dirt bikes and everybody dusted us as they rode by! 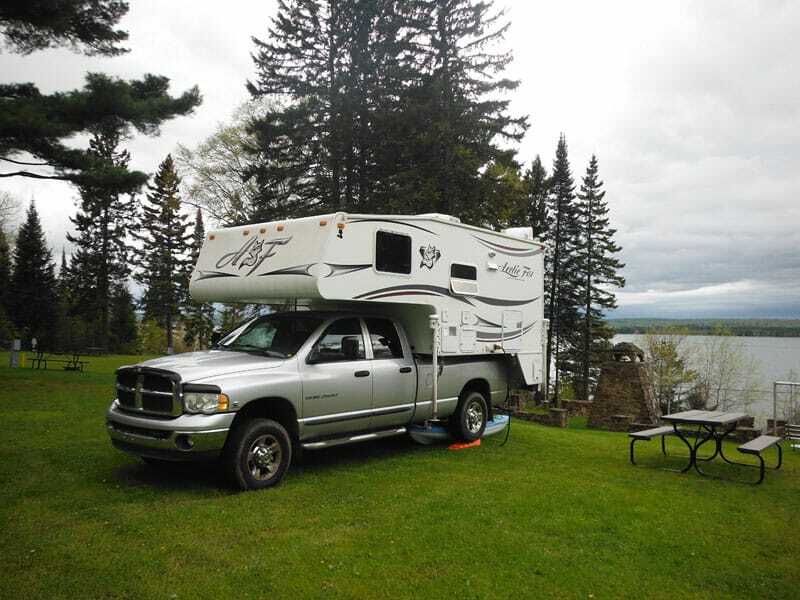 We’ve since added a front receiver and a motorcycle rack, as well as a Kendon trailer (Lynn has an ATV). I wish we would’ve gotten the truck camper a long time ago. So much more freedom! It was our first big trip with our Cirrus. 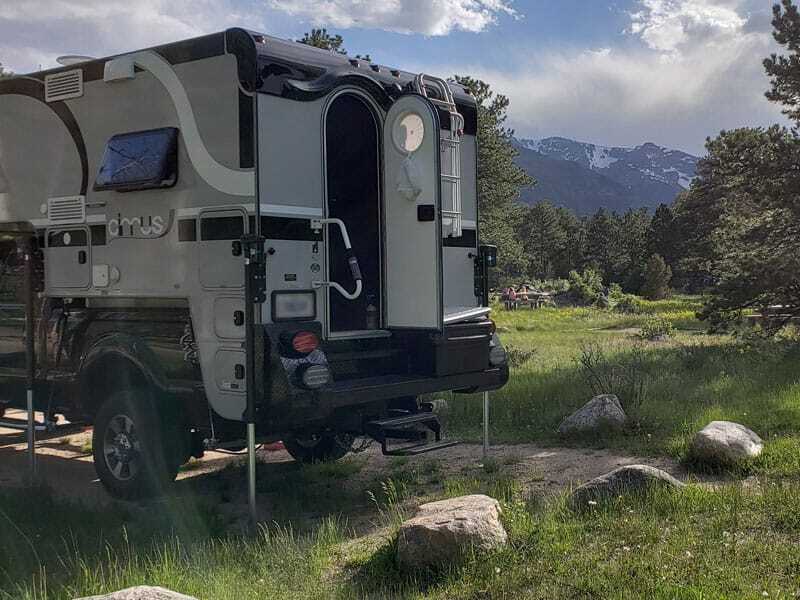 We spent six days with no hookups in Rocky Mountain National Park. We had plenty of water and power to run the unit without the need for a generator. It was early June so the Alde furnace came on a couple of nights.